When Paulding County drivers need a commercial vehicle for reliability and functionality, the new Ram ProMaster City is a great option. The smaller version of the Ram ProMaster, this vehicle is powered by a 2.4L four-cylinder engine that provides 178 hp and comes with a nine-speed automatic transmission. This model also includes the ability to be customized, so you can opt for the passenger vehicle option or for the one that provides more commercial space. And with up to 131 cubic feet of cargo space, there’s a lot you’ll be able to do with this new model. So when you’re hauling passengers through Cowetta County or moving cargo through Douglas County, be sure to choose the ProMaster City. Find yours below. 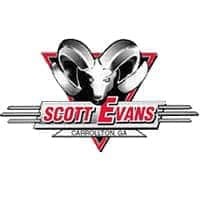 Scott Evans Chrysler Dodge Jeep Ram has the inventory of Ram ProMaster City models to choose from today. Visit our dealership at 2280 Bankhead Highway in Carrollton, GA, or contact us at 770-809-6502 for more info.